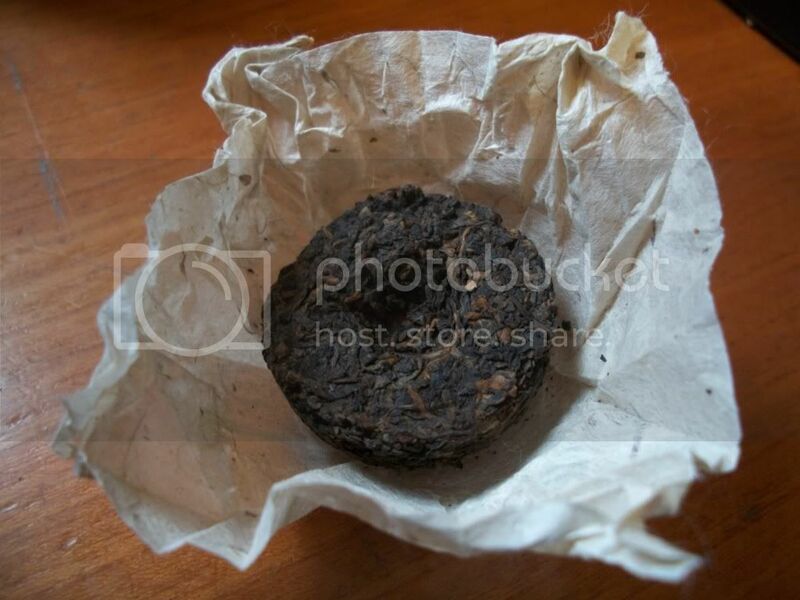 I am, by no stretch of the imagination, an expert on pu-erh. I like it and I really want to try a whole bunch more...but I'm kinda intimidated by where to start. I read The Half Dipper daily and, frankly, most of the things Hobbes talks about I don't know. Not so much like "Oh, I think it means this" or "I guess it means that" because that involves some sort of intelligent guessing and deductive reasoning. No, this is more along the lines of "What the...wait...huh? Is that a real word?" 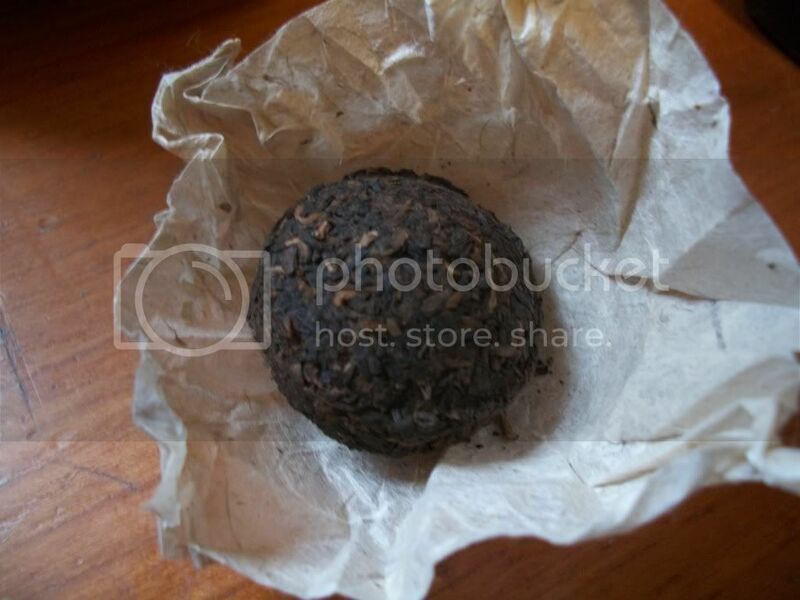 The fact that pu-erh is a very traditional Chinese thing doesn't help. I don't speak a lick of Mandarin. But my Cantonese is superb. Ok, ok, I can't speak any dialect. So instead, I dabble. Here and there I get bits and pieces of cakes to try out and, for the most part, I enjoy the hell out of them. But I wouldn't consider myself a collector, or even an aficionado. I like 'em, a lot, but I don't actively seek them out. That would just scare the hell out of me. That and the last thing I need is yet another beverage related hobby. 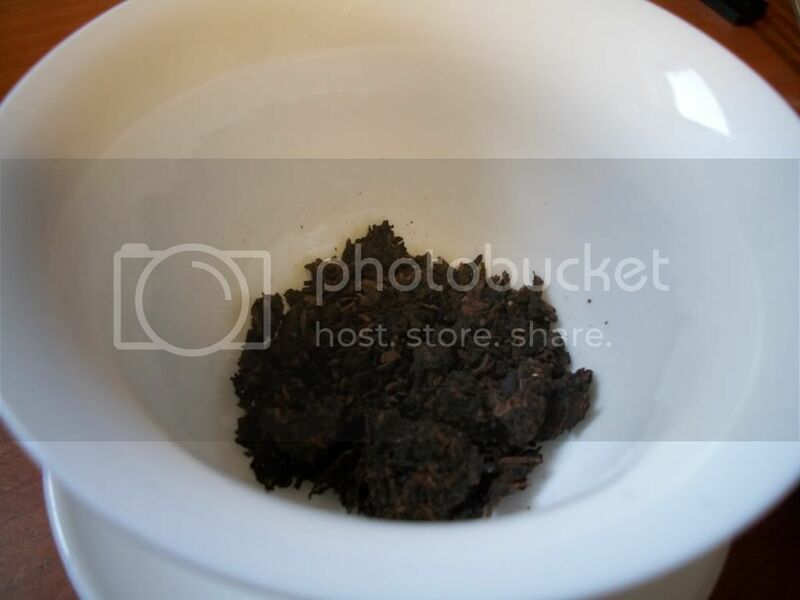 To say that pu-erh is an acquired taste might be a touch of an understatement. It's radically not like most teas. The sheng (raw/uncooked) has an intensely white pepper and grass flavor to it and the shu (cooked) has a deeply wet dirt flavor to it. And both, I've found, have an umami-like brininess to it as well. Strange stuff but addicting. 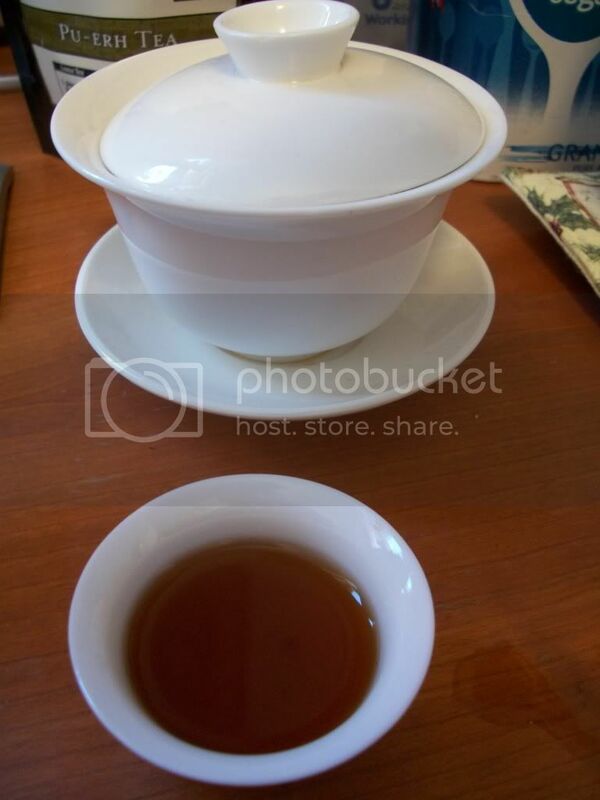 Brewed in: gaiwan and tasting cup. First infusion: Nose is earthy. Kinda smells like pine too. Pretty quiet though. Taste is of hay and dirt. It's like licking a barn. Which honestly, isn't a bad thing. Molasses makes me want more rum. Mild bitterness but no astringency; very smooth. Not a whole lot of body though, seems kinda thin. Not too deep. Color is pretty inky. Second infusion: Nose is almost gone by this point. Some earth, pine is gone. Bitterness is growing and the taste is fading. 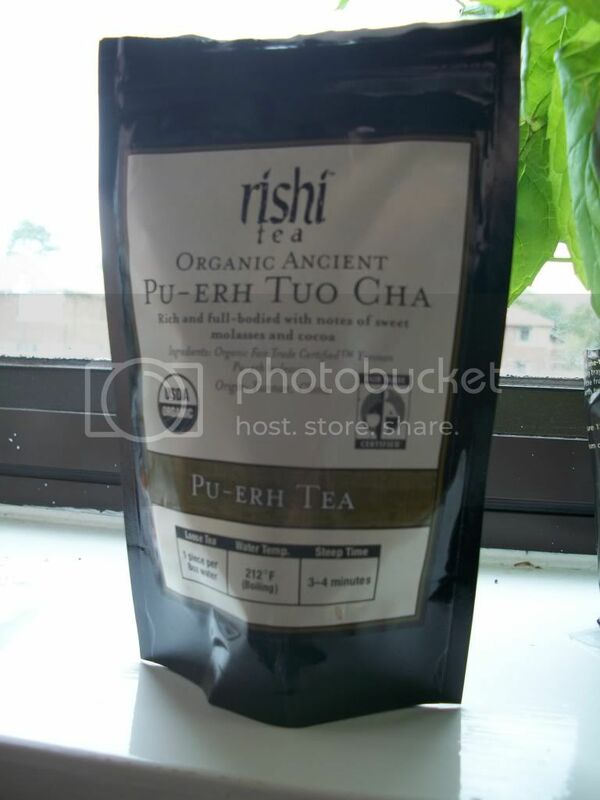 That pu-erh brine is coming out. Molasses is still there but fading. Hay flavor is gone. Third infusion: Nose is non-existant. Absolutely nothing there. Taste has lost the bitterness and now tastes more like cooked rice. Much more pleasant than the second infusion. Body is better, oddly enough, but still thin. At this point, I'd call it done. 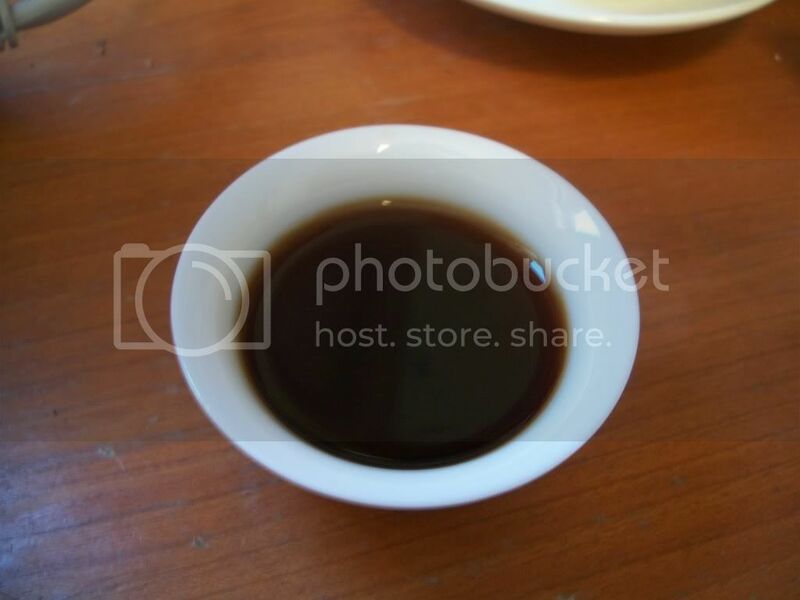 For me, it's a good enough tea that displays the possibilities of the shu pu erh category. It is definitely an introductory tea as, for me, there are teas out there with more depth and that can stand up to more infusions. 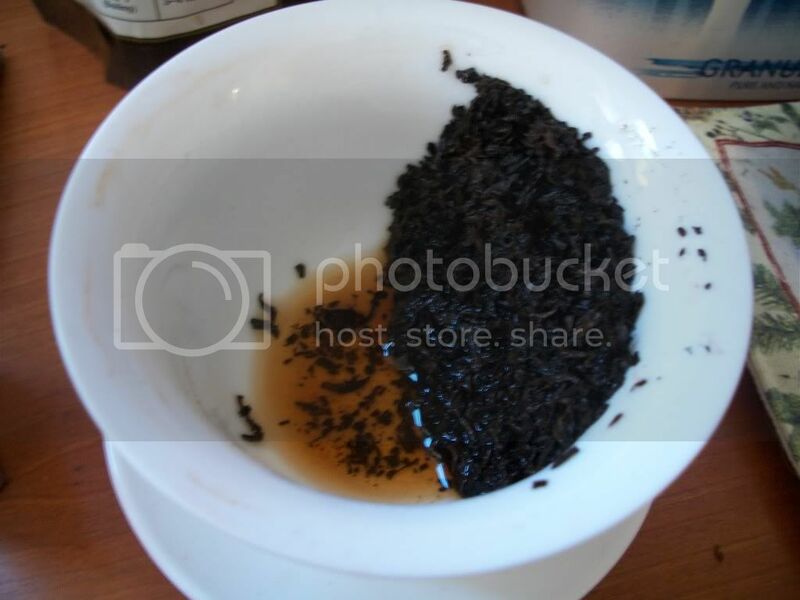 It is not uncommon to go for six or seven infusions out of one set of leaves but this really started tapering off after two. Would I pick it up again? Eh, probably not. 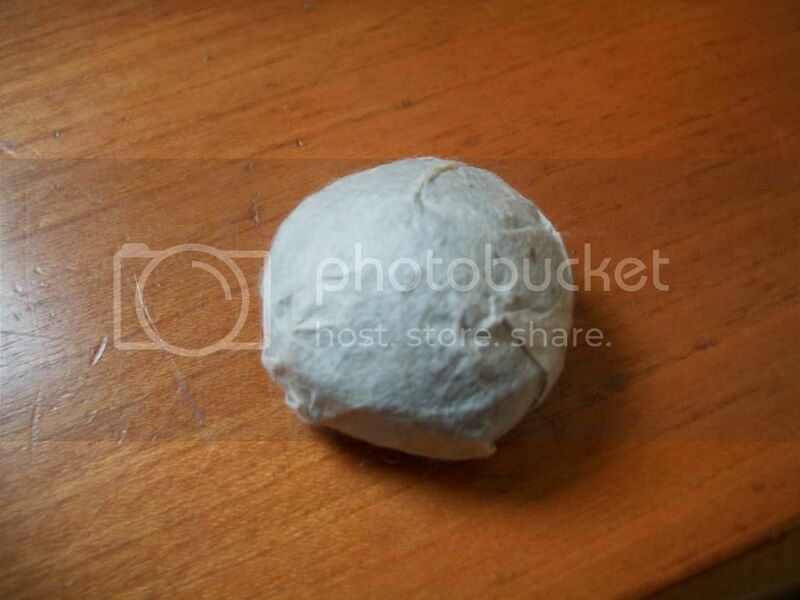 I've had some AMAZING shu in my minimal travels so once you're bitten by the bug it's hard to go back. But I'd recommend it to someone that's never had it before. A damn sight cheaper than diving in headlong, I'll give it that. 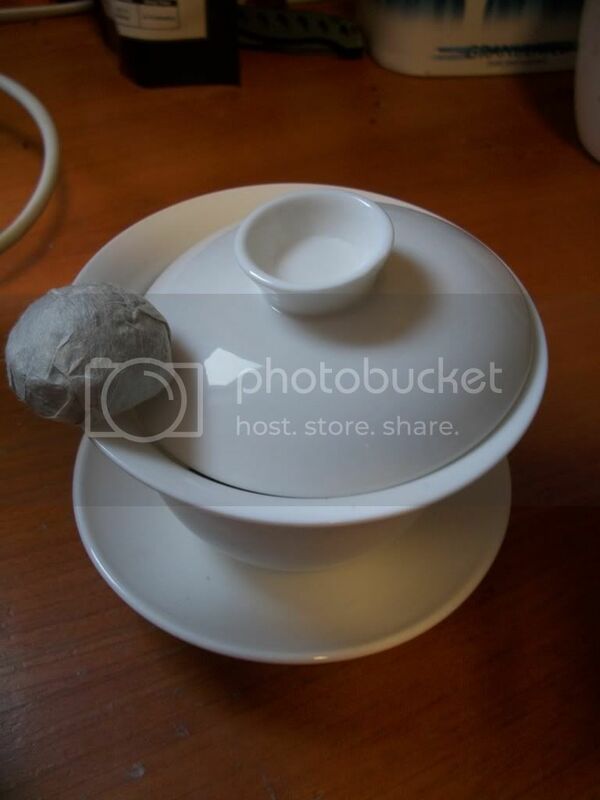 Do you know of any online outlet where I can get decent tea such as this? The only ones I've found disappoint.